Relaxing in comfortable wool bedding promotes good, healthy sleep. If you and your children sleep in wool instead of down, your good conscience lets you sleep even better. There are different ways to harvest down from live or dead birds. Since there are no certificates, you can never be sure that the animal giving the feathers has not suffered. Basically, you can pluck down from dead or live poultry. In the first case, the animals are slaughtered for meat. Live plucking can be a very cruel process in which down is taken from the live animal, usually ducks or geese. While in traditional agriculture animals may have hardly noticed the harvesting of down, live-plucking in industrial mass breeding can be very painful for the animals. In conventional farming down feathers were removed by hand several times during the year. The farmer would take into consideration that poultry naturally sheds feathers during the natural molting process. The down was taken when it was not firmly rooted anymore. For this purpose, the molting progress had to be observed individually for each animal. On a small farm this is manageable; in such a setting a mostly painless production of down is feasible. Unfortunately, this is very much the exception nowadays. There are no independent certificates that confirm that down is harvested without animal cruelty. In industrial plucking, pieceworkers rip out the feathers of live animals that are kept in mass animal farming. The geese are often under a lot of stress and the workers are under pressure to perform and pluck as much down as possible in as short a period of time as possible, completely disregarding the molting process of the animals. For the geese, the process is usually painful and stressful. As a consumer, it’s impossible to tell whether the down or feathers come from live or dead animals, as there are no independent certificates. Wool, on the other hand, is a material that many people prefer for their duvets because it regulates temperature and humidity, which is so important for that restful night of sleep. The soft and elastic material is particularly suitable for babies and children, but many adults prefer wool duvets as well. Anyone who has ever spent a night under a wool duvet will never want to spend the night in polyester bedding again. The moisture exchange of this traditional bedding is second to none. Down keeps you warm, but it is not ideal for the right humidity during sleep. Water birds carry these special feathers in the abdominal area, so they can protect themselves from cold and heat. Down does not allow air circulation and acts as insulation. Because birds cannot sweat, that's not a problem for geese and ducks. For humans, however, it is important that the air can circulate freely through the duvet so that moisture and excess heat is transferred away from the body into the bedroom. 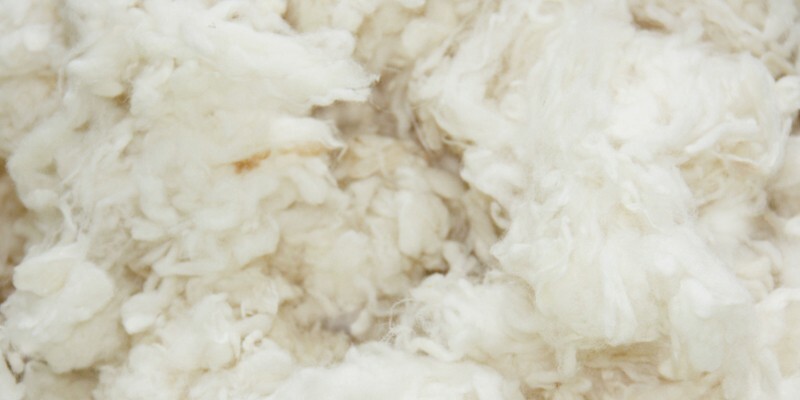 Wool possesses these important properties to a greater extent than all the other materials for bedding.